Come and join us for another installment of the WDW-Memories podcast, where I try to make it possible for you relive your Walt Disney World Memories when you can't actually be there. We'll continue our day in Disney's Hollywood Studios as we've run through the rain and made it to the iconic attraction at the end of Hollywood Boulevard. Happy Thanksgiving to all of you in the United States. I pray your holiday will filled with food, family, laughter and food. As I'm sitting down to record this, it's actually Thanksgiving day, and we are set to have a small gathering of family. The turkey will be going into the oven, and we are looking forward to spending the day laughing and celebrating together. Personally, I haven't actually spent a Thanksgiving or Christmas anywhere but at home or with family. I'm not even sure what it would be like to spend one of those holidays at Walt Disney World. I've seen the pictures of the crowds, and I'm not really sure I want to find out. I'll stick to keeping it simple and visiting when I can actually get onto rides and not loose my mind, like the day we're reliving right now. So let's get back to it shall we. So as I said last time, it was a hot Sunday in June of 2012, you know those kind of days that make you melt the moment you leave the air conditioning. In memory 176, the storms have changed all that. Now the rain is coming down, and folks are scattering. I think the timing has also changed how the crowds disspersed. No longer are folks waiting for Fantasmic! But they are now back riding rides. As we left The Twilight Zone Tower of Terror last time, I put a poncho on and headed on out. 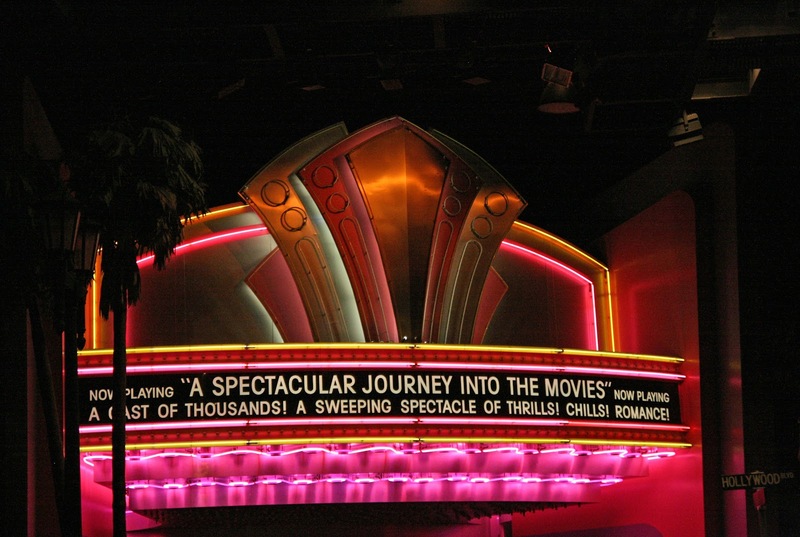 You may not have been able to tell, but we are already inside our next attraction, The Great Movie Ride. Yeah, I just walked strait up Sunset and turned up Hollywood Boulevard and right into the empty queue. It's so empty today, it looked like for a moment there only a handful of folks would be on our tram. There still weren't many (maybe 20) so it's a very intamate ride. Our cast members were very good, and we'll enjoy the old spiel (before TCM took over, but after they had revamped it). Once done, we'll throw the poncho back on and head back out into this storm for some more fun in the parks. I haven't been back to this attraction in my trips since this one because my children would not be able to ride. Intense movies and sounds still scare my kids, and this park is filled with these attractions that are not family friendly in my mind. That said, this iconic attraction in Disney's Hollywood Studios is so undervalued. 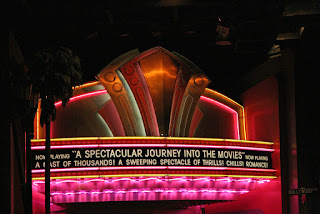 I have always loved this attraction, and it's one of the last pieces of this park that actually honors the movies and the studios that made them. Now sit back. Relax. Close your eyes. And come with me as I step into some of my favorite classic movie moments.